Metal Stampings “just in time” for savings. A Res customer required up to three truckloads of parts (approximately 170,000 units) per week on a “just-in-time” basis. Like many of our customers, this company operates in highly competitive domestic and foreign markets. They hold only three days of inventory and rely on Res to supply components on time while helping to find ways to reduce costs. Since the relationship began, Res has saved this customer more than 30 percent. Because the parts are high in material content, there are not many opportunities to reduce the unit cost. Res reviewed the production process and supply chain and recommended alternatives in materials, a redesign of several parts, and a change to returnable containers. Each of these changes resulted in dramatic cost savings for the customer. 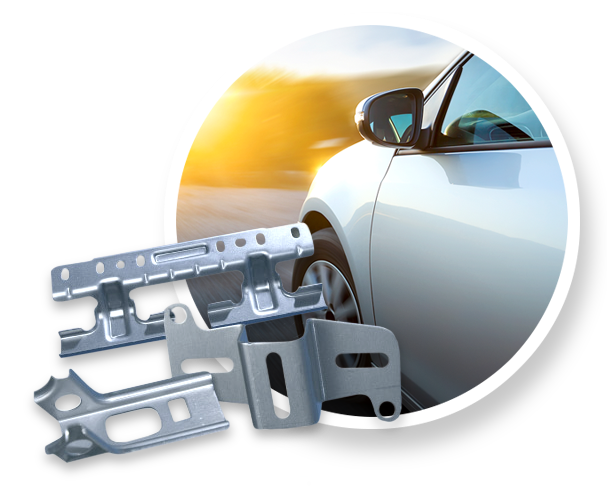 Our ability to produce these high volume metal stampings just-in-time sets us apart from the competition.